UPDATE: The product has been cancelled "due to unforeseen delays in production." At this point, there are not any future plans to release the set. 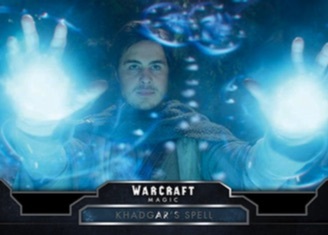 Mainly known for the massive online game and collectible card game, 2016 Topps Warcraft offers coverage of the live-action movie with a traditional format. Each hobby box includes two hits. Breaking down the key moments from the film, the 100-card base kicks things off. 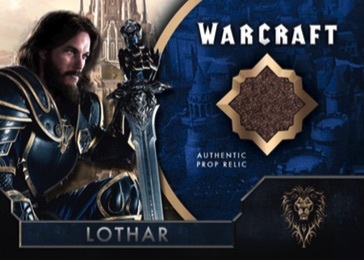 Collectors can also find a mix of parallels, including Alliance Blue (1:4 packs), Horde Red (1:24 packs), Mage Light Blue (#/10) and Forge Gold (1/1). 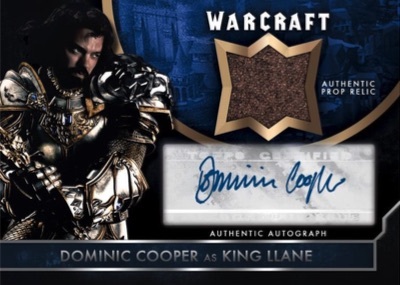 Beyond the base set, several inserts add to the main set total in 2016 Topps Warcraft. 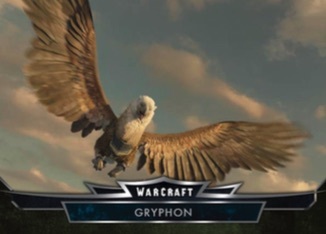 This includes 18 Character cards (1:4 packs) and plenty of nine-card sets (each fall 1:8 packs) in the form of Battle, Character Concept Art (Hobby only), Groups & Clans, One-on-One Combat, Races & Creatures, The Magic of Azeroth and Weapons. There are also Scene Concept Art cards that are exclusive to retail jumbo packs. 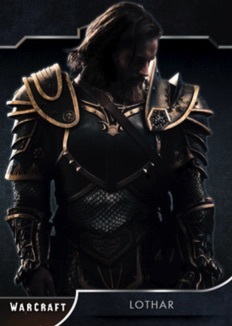 Multiple premium hit cards round out the release. 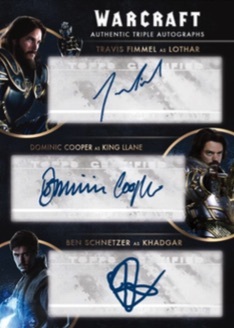 Among the options are Autographs, Dual Autographs, and hobby-exclusive Triple Autographs. There are also limited parallels for the main autograph set, including Printing Plates. Mixing in move-used props, scenery and costumes, Relics feature a small swatch and also come as limited parallels. 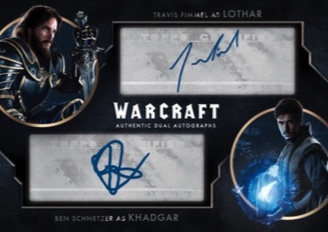 Taking that a step further, Autograph Relics (#'d) add a sticker signature. 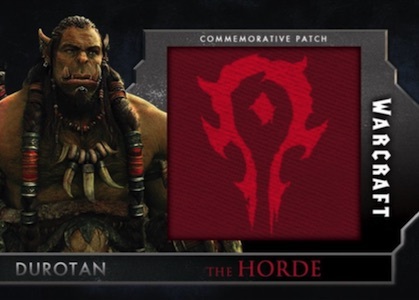 Documenting the three main groups in the Warcraft universe (The Alliance, The Horde and The Mages), Commemorative Faction Flag Patches make their debut and also offer parallels. Finally, Sketch cards feature hand-drawn images of key characters. The following images are mock-ups. Designs and contents subject to change. 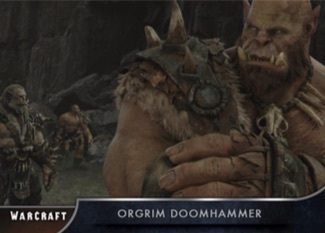 Warcraft Limited Edition Durotan Deluxe Action Figure, 18"
DC DIRECT WOW WORLD OF WARCRAFT ORC SHAMAN REHGAR EARTHFURY ACTION FIGURE!